The United States and the United Kingdom have issued a joint statement stating that they will deny visas to Nigerians involved in rigging or violence in the national elections scheduled for February 16. 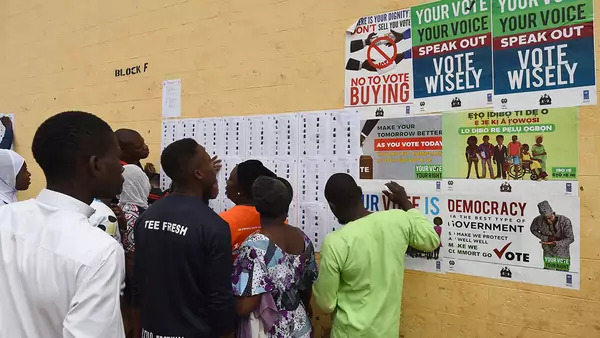 In addition to monitoring polling stations and outbreaks of violence, they will also be monitoring social media for incidents of hate speech and incitement to violence. The joint statement should be welcomed. The threat of visa denial or revocation can have a real impact on Nigerian elites, who greatly value the ability to travel to the United States and the United Kingdom. Indeed, the ability to travel outside Nigeria is often an elite marker. It is assumed in Nigeria that certain elites park substantial sums overseas, especially in London and New York. In an additional statement issued last week, the British government also pointed out that incitement to violence could mean that it would block access to money or other property that perpetrators have in the United Kingdom. The decision to use social media posts as grounds for visa denial is particularly intriguing. Although visa restrictions for most Nigerians on social media likely will not mean much—many lack the resources to travel—it could make some elites think twice about encouraging violence or trafficking in hate speech.